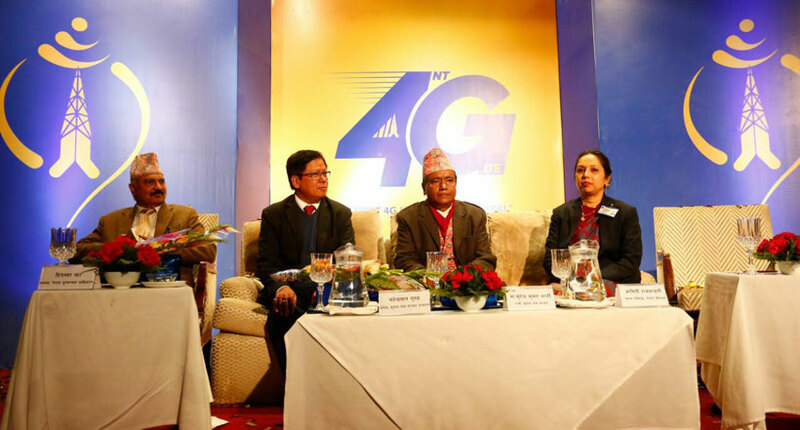 Nepal Telecom (NT) has introduced fourth generation (4G) mobile network services for the first time on Sunday. Minister for Information and Communications Surendra Kumar Karki inaugurated the service at a special function in Kathmandu. According to NT, 4G services only for post-paid phone service subscribers are available in most parts of Kathmandu and Pokhara for now. “Post-paid users can activate the service by dialling *444#,” NT said, adding that pre-paid service subscribers have to wait until February 4. To use 4G/LTE services, subscribers need mobile phone sets that support 4G/LTE, and replace older versions of SIM cards with newer 4G-enabled SIM (Universal SIM i.e. U-SIM) cards, the telecom service provider said. Compared to 3G services currently in use, 4G services will have double the speed for internet services, the service provider added. 4G is the fourth generation of wireless mobile telecommunications technology, succeeding the 3G currently in use in Nepal.